Super Hot!!! 2017 Black Friday & Cyber Monday are coming nearer and nearer. Black Friday ads for Sony cameras and lenses are now leaked online. These deals will start from November 24th to December 3rd, 2017. 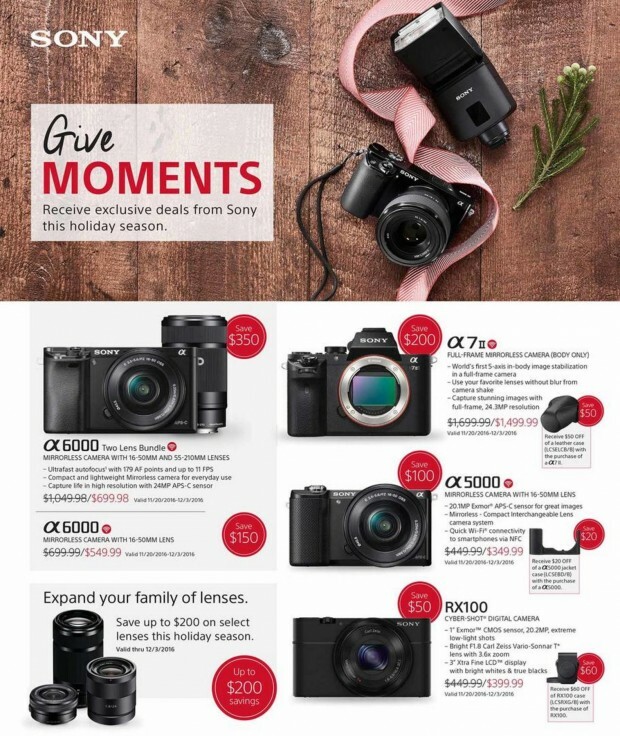 Sony A6000 deal is expected to be the hottest Black Friday deal this year! Sony a6000 w/ 16-50mm & 55-210mm lens kit will cost $699 and Sony a6000 w/ 16-50mm lens kit for only $549.